n the 19th and early 20th century, railway companies were fiercely competitive. Speed meant revenue and speed was dependent on engineering. Churchward delivered to the GWR from Swindon a series of class-leading and innovative locomotives. Arguably, from the early 1900s to the 1920s the Great Western’s 2-cylinder and 4-cylinder 4-6-0 designs were substantially superior to any class of locomotive of the other British railway companies. On one occasion, the GWR’s directors confronted Churchward, and demanded to know why the London and North Western Railway were able to build three 4-6-0 locomotives for the price of two of Churchward’s “Stars”. Churchward allegedamy gave a terse response: “Because one of mine could pull two of their bloody things backwards! urchward preferred locomotives without trailing wheels, to maximise adhesion on the South Devon banks of Dainton, Rattery and Hemerdon on the West of England mainline to Plymouth, then the Great Western’s most important route. Due to the weight and dimensional restrictions required to pass over all the GWR’s lines, he designed narrow fireboxes, but with good circulation. Combining high boiler pressures with superheating made efficient use of the high calorific-value steam coal from the mines in South Wales. Other refinements included feed-water distribution trays beneath the top-fitted clack boxes to minimise boiler stress and large bearing surfaces to reduce wear.Churchward also made advancements in carriage design. He introduced the GWR’s first steel-roofed coaches. 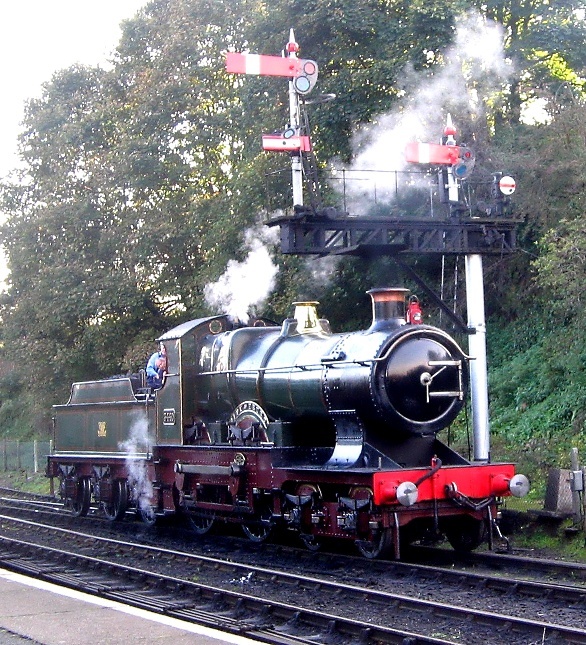 Churchward is credited with introducing to Britain several refinements from American and French steam locomotive practice. Among these were the tapered boiler and the casting of cylinders and saddles together, in halves. His choice of outside cylinders for express locomotives was also not standard in Britain for that time. Many elements of British practice were retained, of course. His locomotives for the most part used British plate frames, and the crew was accommodated in typical British fashion. The selection of a domeless boiler was more common to Britain than to the US. American film director, screenwriter, producer, video game designer, and studio entrepreneur Steven Spielberg was Born in Cincinnati, Ohio, on 18th December 1946. Throughout his early teens, Spielberg made amateur 8 mm “adventure” films with his friends, the first of which he shot at the Pinnacle Peak Patio restaurant in Scottsdale. He charged admission to his home films while his sister sold popcorn. In 1958, he became a Boy Scout, and gained a photography merit badge by making a nine-minute 8 mm film entitled The Last Gunfight. At age thirteen, Spielberg won a prize for a 40-minute war film he titled Escape to Nowhere which was based on a battle in east Africa. In 1963, at age sixteen, Spielberg wrote and directed his first independent film, a 140-minute science fiction adventure called Firelight. The film, which had a budget of US$500, was shown in his local cinema . He also made several WWII films inspired by his father’s war stories. During the 1960s He became a student at California State University, Long Beach & also worked at Universal Studios as an unpaid, seven-day-a-week intern and guest of the editing department, and made his first short film for theatrical release, the 26-minute Amblin’. Spielberg became the youngest director ever to be signed for a long-term deal with a major Hollywood studio (Universal). He dropped out of Long Beach State in 1969 to take up the television director contract at Universal Studios and began his career as a professional director. His first professional TV job came when he was hired to direct one of the segments for the 1969 pilot episode of Night Gallery starring Joan Crawford. He also directed an episode of Marcus Welby, M.D. & an episode of The Name of the Game called “L.A. 2017″. This futuristic science fiction episode impressed Universal Studios and they signed Spielberg to do four TV films. The first , Duel, was about a psychotic Peterbilt 281 tanker truck driver who chases a terrified driver (Dennis Weaver) and tries to run him off the road. Next he made the TV film “Something Evil” which capitalize on the popularity of The Exorcist. Spielberg’s debut feature film was The Sugarland Express, about a married couple who are chased by police as they try to regain custody of their baby. Next Spielberg directed Jaws, a thriller-horror film Starring Richard Dreyfus and based on the Peter Benchley novel about an enormous killer shark.It was an enormous success, winning three Academy Awards and grossing more than $470 million worldwide, it was also nominated for Best Picture. Spielberg and actor Richard Dreyfuss then worked on Close Encounters of the Third Kind (1977). which gave Spielberg his first Best Director nomination from the Academy & won Oscars in two categories. His next film, 1941, was a big-budgeted World War II farce. Next, Spielberg teamed with Star Wars creator and friend George Lucas on an action adventure film, Raiders of the Lost Ark. It became the biggest film at the box office in 1981, and received numerous Oscar nominations. A year later, Spielberg made E.T. the Extra-Terrestrial, about a young boy and the alien he befriends. Itl went on to become the top-grossing film of all time & was also nominated for nine Academy Awards including Best Picture and Best Director. Between 1982 and 1985, Spielberg produced three high-grossing films: Poltergeist, a big-screen adaptation of The Twilight Zone (for which he directed the segment “Kick The Can”), and The Goonies. His next directorial feature was the Raiders prequel Indiana Jones and the Temple of Doom. In 1985, Spielberg released The Color Purple, an adaptation of Alice Walker’s Pulitzer Prize-winning novel of the same name, the film was a box office smash and received eleven Academy Award nominations.Next Spielberg shot an adaptation of J. G. Ballard’s autobiographical novel Empire of the Sun, starring John Malkovich and a young Christian Bale, which was nominated for several Oscars.After two forays into more serious dramatic films, Spielberg then directed the third Indiana Jones film, 1989′s Indiana Jones and the Last Crusade. In 1991, Spielberg directed Hook,starring Robin Williams and in 1993 Spielberg directed a film version of Michael Crichton’s novel Jurassic Park, about a theme park with genetically engineered dinosaurs. Best remembered for her classic novel, Wuthering Heights, the English novelist Emily Brontë sadly passed away on 19th December 1848 from tuberculosis .Born 30th july 1818 in Thornton, near Bradford in Yorkshire, Emily was the third eldest of the four surviving Brontë siblings and the younger sister of Charlotte Brontë, and published under the pen name Ellis Bell. when Emily was three years old, the older sisters Maria, Elizabeth and Charlotte were sent to the Clergy Daughters’ School at Cowan Bridge, an experience later described by Charlotte in Jane Eyre. When a typhus epidemic swept the school, Emily was removed along with Charlotte and Elizabeth, who sadly died soon after their return home. From then on The three remaining sisters and their brother Patrick Branwell were educated at home by their father and aunt Elizabeth Branwell, their mother’s sister. In their leisure time the children created a number of fantasy worlds, which were featured in stories they wrote and enacted about the imaginary adventures of their toy soldiers along with the Duke of Wellingtonand his sons, Charles and Arthur Wellesley.When Emily was 13, she and Anne began a story about Gondal, a large island in the North Pacific. Sadly most of their writings on Gondal were not preserved, although Some “diary papers” of Emily’s have survived in which she describes current events in Gondal. At seventeen, Emily attended the Roe Head girls’ school, where Charlotte was a teacher & stayed three months before returning home. At this time, the girls’ objective was to obtain sufficient education to open a small school of their own. In September 1838 Emily became a teacher at Law Hill School in Halifax, Unfortunately the stress of the 17-hour work day took it’s toll and she returned home in April 1839 staying at home & teaching Sunday school. In 1842, Emily accompanied Charlotte to Brussels, where they attended a girls’ academy in order to perfect their French and German before opening their school. In 1844, Emily began recopying all the poems she had written neatly into two notebooks & In the autumn of 1845, Charlotte discovered the notebooks and insisted that the poems be published, then Anne revealed she had been writing poems in secret and In 1846, the sisters’ poems were published in one volume as Poems by Currer, Ellis, and Acton Bell ( these being the pseudonyms they had adopted for publication). 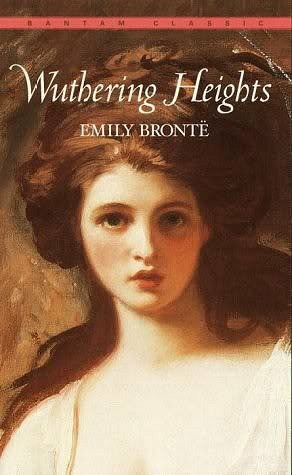 ln 1847, Emily published her novel, Wuthering Heights, and Although it met with mixed reviews and controversy when it first appeared,it is considered a classic of English literature today. The Novel takes place at a Yorkshire manor & centres on the all-encompassing, passionate, but ultimately doomed love between Catherine Earnshaw and Heathcliff, and how this unresolved passion eventually destroys them and the people around them. Emily Brontë sadly passed away on 19th December from tuberculosis and is interred in the Church of St. Michael and All Angels family vault, Haworth, West Yorkshire . However the novel Wuthering Heights together with her sister charlotte Brontë’s noval Jane Eyre both represent classic examples of English Literature and both novels have been adapted tor television and film numerous times As Well as musicals, ballets and operas.